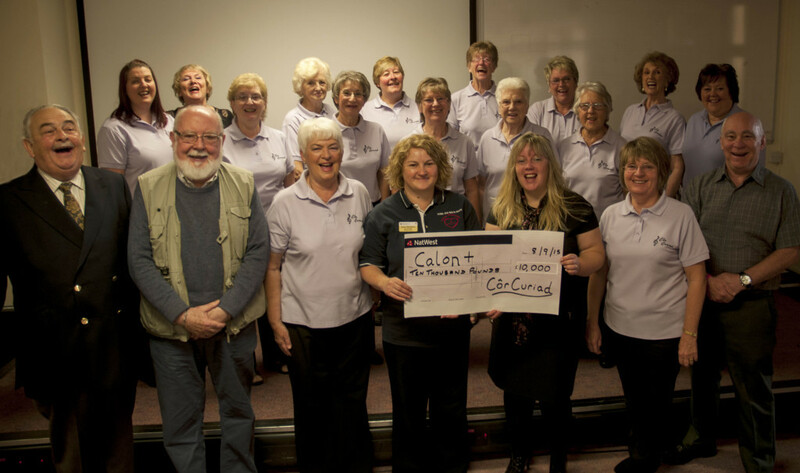 This month at a presentation ceremony Cor Curiad presented Calon + with the rewards of their fundraising over the past year. Their fantastic efforts resulted in raising the huge sum of £10,000. Jenny Mathews – Cardiac specialist nurse. The Cor Curiad ladies have been celebrating their 20th anniversary this year, over the years they have raised vast sums of money for a variety of good causes. We at Calon+ are delighted that they celebrated this milestone with us. Their 20th anniversary concert even featured Britains Got Talent star Paul Potts.